If you are looking for pressure cleaning services in Pooler Georgia you have come to the right place. 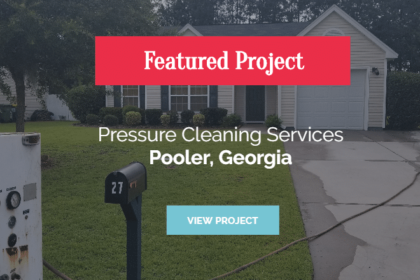 Today we’d like to show off one of our pressure cleaning projects we did last week in the town of Pooler, Georgia. This house was covered in algae prompting the homeowner to seek a local pressure cleaning services contractor to clean the home. This was a house wash only job. We offer full-service pressure cleaning, but the client opted for the siding only. High volume rinse of the siding and plants surrounding the house diluting and neutralizing our pressure cleaning chemical mix. 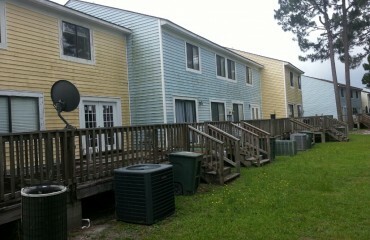 Inspection of cleaning to siding making sure all algae and dirt had been properly removed. 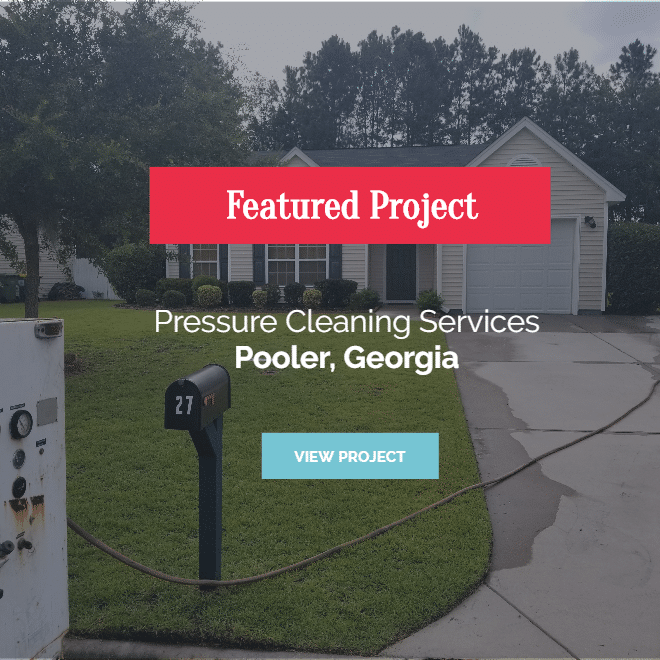 f you need an experienced Pooler, GA pressure cleaning services contractor ready to handle all types of pressure cleaning services, call (912) 988-3832. We’ll be happy to assist you with your house washing, roof cleaning, and power washing services needs. 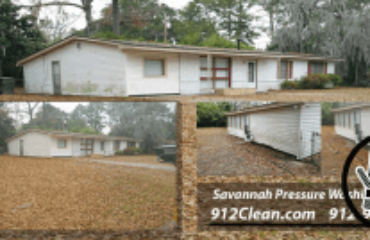 Need A Reputable Pressure Cleaning Services Contractor In Pooler, GA? If you’re looking for a contractor with pressure cleaning services expertise, consider Chatham Property Maintenance, a family owned & operated Pooler, GA pressure cleaning contractor experience. We are fully licensed and insured pressure cleaning contractor to do pressure cleanings in Pooler, GA. Call our Pooler, GA office today at (912) 988-3832 to request your Free Estimate or to learn more about how Chatham Property Maintenance can help you!